When you are starting to automate processes in your company you soon will find out, that not all runbooks will run for a short time. There are also cases where you need a runbook, which is using a loop to monitor certain things or trigger other runbooks. In other words, there are cases where you need runbooks which run constantly. It is NOT recommended to have too many such long running runbooks, but if you need to trigger another runbook every 15 minutes there is no way currently in SMA to use the built-in schedule. The limitation is, that you cannot have a lower interval than 1 day (recurring). Although the SMA runbook infrastructure is highly available it could happen that your long running runbooks will stop for many reasons (reboots, shutdowns, bad handling etc.). Most of times these runbooks are important and if you don’t get some sort of notification, you will not find out that the runbooks are not running anymore. One approach, which I think makes sense is to monitor these runbook instances by running a SQL query against the SMA database and check if there is one or more running instances of the runbook. 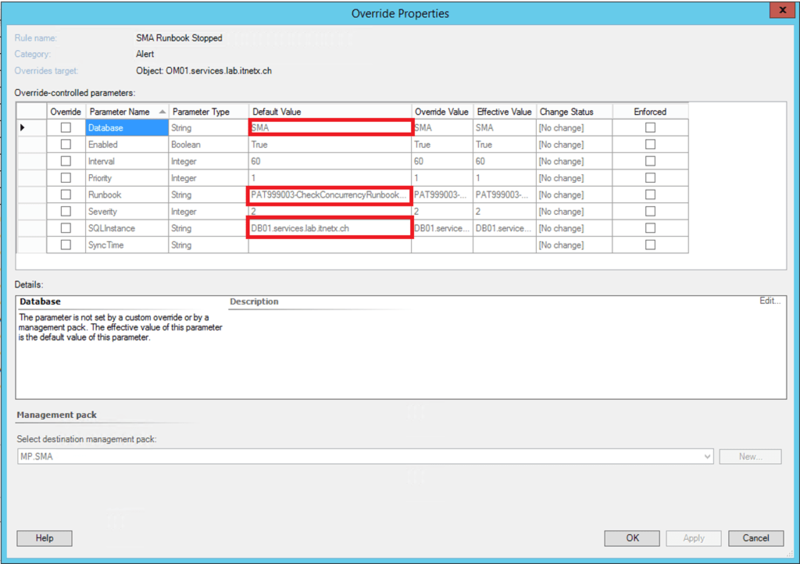 If there is no instance we should receive an alert in SCOM. …this delivers the current SMA job instance count of a runbook. The script will log events in the OperationsManager event log, if there is a connection or query issue. The rule itself is targeted in this example at the SCOM RMSE server and this agent will also execute the script. 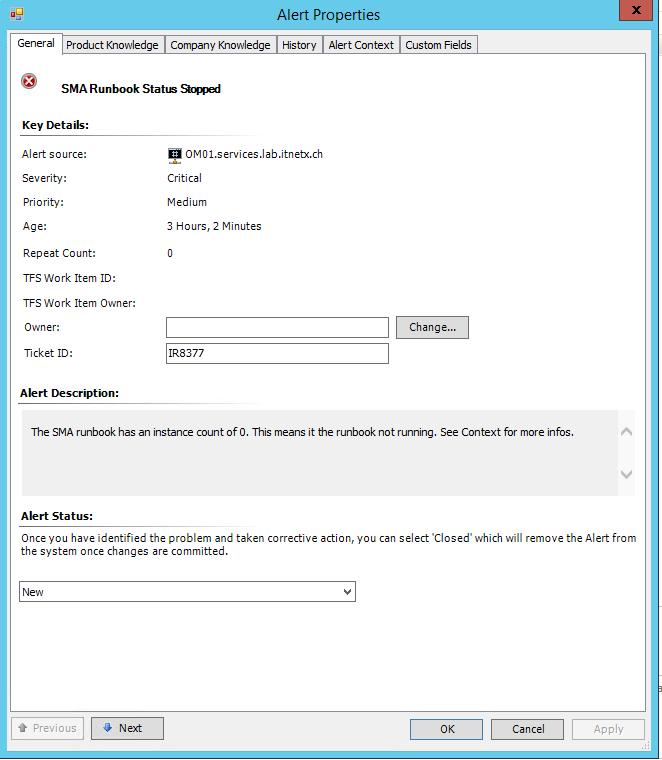 For that reason, make sure you give your SCOM management server action account proper permission on the SMA DB. This management pack should not provide a full featured solution, instead it should give you a good starting point to customize the rule for your needs accordingly. The target and interval are just for demo purposes! The VSAE project is available on TechNet Gallery.